Report of a semi-trailer truck on fire. Crew on arrival reports two semi-trailer trucks fully-involved with fire. T32 added to the call at 6:06 p.m.
E31 crew reports they have exposures, and are laying a 4-inch line. Working fire assigned by 6:08 p.m.
Fire mostly knocked by 6:20 p.m.
Change of Quarters Box companies? at 6:20 p.m.
TRUCK(S): T31 T ?? TL ?? E117 crew on arrival reports a 1 1/2-story frame with a little smoke showing. Aerial going to the roof, primary search underway by 11:59 a.m.
BC18 reports fire under control at 12:11 p.m. and holding up CV271. One dog killed in the fire. Report of a bicyclist hit by a vehicle. The bicyclist was report to be awake and breathing, but possibly suffering serious injuries. Report of a cut or amputation to a hand. T16 crew holds up the construction incident response; reporting injury is a cut finger by 10:19 a.m.
Report of a man with his hand caught in a machine and injured at Taubensee Steel & Wire Company. Crash with injuries, possibly involving one vehicle. Hyundai SUV hit a large traffic signal pole. Crash with injuries on Buffalo Grove Road south of Dundee Road. TL25 crew on arrival reports two cars with moderate damage, and one vehicle occupied. 1 1/2-story with fire on the first floor, primary search underway by 9:47 a.m.
Fire in the basement extended to the main floor, primary search complete, and opening the roof by 9:49 a.m.
1 1/2-story, 25x50 wood frame with heavy smoke showing from the rear, fire on the first and second floor, fire is knocked, primary and secondary searches complete and negative, overhaul underway by 10:00 a.m.
Rollover SUV crash with injuries. Fox Lake A222 responding from Route 120 and Wilson. A222 crew on arrival reports two vehicles with moderate damage and one vehicle on its side. A222 crew reports it looks like all occupants are out of their vehicles. ENGINE(S): Fox Lake E223 Wauconda E341? Lake Forest TL421, Libertyville mutual. Male, age 24, transported to Weiss Hospital, where he was pronounced dead. The victim was identified as Ricardo Salvana, age 24, of Chicago. LOCATION ON MAP NOT PRECISE. WATER RESPONSE: FAST BOAT 6-8-8, SCUBA DIVE TEAM 6-8-7, RESCUE HELICOPTER 6-8-1 ?, RESCUE HELICOPTER 6-8-2 ? Marengo Ambulance 1151 crew reports a large header with flames showing. 2-story home with fire throughout. E122 requesting a second ambulance by 4:58 p.m.
Report of a person stabbed in the hand. Police received a report that a female offender left in a vehicle by 1:11 a.m.
Report of a construction worker struck by lightning at the construction site near southbound Route 53 off ramp to eastbound Thorndale Avenue. The construction worker was reported to be awake and breathing. Paramedics made patient contact by 2:40 p.m. Person threatening to jump at I-290 and Route 83. No traffic congestion observed at 11:45 a.m.
MABAS Division 1 Box Alarm on Box #8A for a crash with multiple injuries. Crew on arrival reported eight people injured in an SUV. Patients transported to Alexian Brothers Medical Center and Northwest Community Hospital -- not confirmed. A total of eight patients were transported by seven ambulances to area hospitals. CHANGE OF QUARTERS: Hoffman Estates E21 Engine, Wood Dale Medic 68 Mount Propsect E12, Rosemont A168? A44 CREW ON ARRIVAL requests and EMS Plan 1. BC16 reports four patients Code Yellow and one patient Code Red. Inbound Eisenhower Expressway entirely blocked. E38 crew on arrival reports a 3-story ordinary with a fire on the third floor. BC14 reports fire under control by about 8:18 p.m. -- striking out the Box. Report of a fire at Dearborn North Apartments. E4 on the scene of a 9-story high-rise with nothing showing. Fire extinguished by a resident on the sixth floor. E4 and TL10 staying on scene for ventilation. All other companies returned by 4:21 p.m.
Command reports three lines on the fire, priamry searches complete on all floors, crews working and ComEd on the scene by 4:15 p.m.
Report of a crash with possible extrication and a car fire. Report of three "kids" trapped and the car is on fire. Addition of A4 to call by 10:09 p.m. on report of the number of people trapped. Crew on arrival reports a car on fire at 10:10 p.m. The car that requires extrication is not on fire. BC4 requests an additional engine company by 10:13 p.m. -- E6 assigned. Car fire extinguished by 10:16 p.m. T2 and E5 crew working on extrication. One confirmed patient. Extrication complete by 10:23 p.m. Three subjects in the second vehicle fled on foot. The victim that died was identified as 49-year-old Denise Cavada, according to Morton Grove police. Report of police on scene with some kids that climbed the water tower. SQD19, A10, and two additional TRT Techs requested by 6:11 p.m. Lighting resources set up underway as rescue may progress through sunset into darkness. Witness reports the three subjects were lowered about the time around sunset. Kate Rd command terminated at 9:42 p.m.
BC22 on arrival reports A 2-story frame -- looks like a basement fire. BC22 reports ground ladders to sides A, C, and D with two lines stretched by 2:04 p.m.
BC22 reports three lines on the fire (basement, first floor, second floor) primary search and secondary search complete and negative by 2:08 p.m.
Report of a people trapped in a blind shaft in an elevator. EMS Plan 1 requested by E103. Report of a person shot in the leg while a gun was being cleaned. E143 crew on arrival reports patient is down on the ground -- checking further by 5:01 p.m.
Report of a crash with injuries on Touhy Ave and the outer belt, just west of Mount Prospect Road. TL63 crew on arrival reports 5 vehicles with moderate damage. BC1 upgrades crash to an extrication crash and requests to additional ambulances by 2:12 p.m.
Report of a suicidal man in a standoff with police negotiators and SWAT at Joliet's Harrah’s Hotel and Casino parking garage. Streets in the area were shut down. Standoff situation in Joliet ended by 11:11 a.m.
Armed man in police custody. Fatal rollover crash with fire. Female driver trapped in overturned burning SUV. The female driver with burn injuries to her legs was transported to Loyola University Medical Center. Male pedestrian killed and possibly decapitated after being hit by a vehicle. A witness taking video reported that the victim's head and body were in two separate locations near an overturned SUV that was burning. The witness in the video says, "All they covered up was the head." WARNING GRAPHIC VIDEO intentionally NOT included on this report. UPDATE: Ryan Hail, 28, was pronounced dead at the scene at about 4:50 p.m. Tuesday, according to police. Police said an initial investigation shows that Hail's Harley Davidson motorcycle and a 2004 Nissan SUV were both heading eastbound on Lacy Avenue when the motorcycle hit the SUV. Hail was thrown from the motorcycle, police said. Motorcycle crash vs car with serious injuries. Report of a person under a truck that fell off of a lift inside the Tranz shop. A fellow employee or fellow employees were able to free the man from entrapment under the truck before firefighter paramedics arrived. BC1 calling for Superior Air Med 1 by 8:48 a.m. Landing zone on Fermilab grounds. Patient transported to Level I Trauma Center Advocate Good Samaritan Hospital in Downers Grove. Activated Fire Alarm followed by a report of a fire at a Little City kitchen (possibly at 1745 buliding). E36 on arrival reports smoke showing with a hydrant at the front of the building -- upgrades to a working fire Code 4 by 11:09 a.m. Interior crew reports a small fire in the kitchen -- about to put it out by 11:13 a.m.
Fire out reported and smoke is clearing by 11:18 a.m. -- working on overhaul and primary search complete and negative. Crew checking for extension and working on secondary search by 11:21 a.m.
Report of people trapped in a house fire on the southeast corner of Molitor Road and Church Road. E9 crew on arrival reports heavy fire showing. Report of a gas leak -- apparently from a construction crew hitting a gas main. Nicor working to repair gas main or gas line. Work is expected to be ongoing until about 11:30 a.m. or noon. Suspicious apartment fire with people trapped on the second floor and people jumping to escape the fire. A male arson suspect is in custody. E72 on arrival reports they have a 3-story apartment with a fire at 1:41 a.m.
People down with CPR underway. Back porches burning on the second and third floor. Setting up tower ladder at Sector A by 1:44 a.m.
One infant was transported Code Red to University of Chicago Medicine Comer Children's Hospital and pronounced dead at the hospital. The bodies of a male adult and two children were found later near the origin of the fire. Requesting EMS at Side A with staging at 81st and Essex. Fire building has fire on the rear porches from first floor to the third floor and throught the roof with fire extended to another 75x125 apartment building. Two 2 1/2-inch lines on the fire -- one on the front entrance and one on the rear porches by 1:50 a.m. Tower Ladder is fed by E126. Interior stairs burned out and back stairs burned out and inaccessible by companies -- requesting a 3-11 Alarm by 1:53 a.m. on orders of BC23. All truck companies assigned to report to BC23 at sector A with 35-foot ground ladders. 275 at 81st St and Kingston. BC23 reports 4 handlines on the fire. E63 led out to the other building by 1:55 a.m.
2-2-5 assuming command by 1:57 a.m.
BC23 requesting more EMS at 81st an Essex by 1:57 a.m.
Three lines on Side B. Staging Companies assigned to report to 2-7-5 on Ops 10 at 2:10 a.m.
E84 assigned to bring EMS Transport Bus to 81st west of Essex at 2:11 a.m.
Air bottle truck request at 2:18 a.m. -- 6-4-4 is already on the way. Rehab Unit 5-7-1 assigned by 4-4-12 to back down Essex from 82nd St at 2:25 a.m.
CV 275 reports a large amount of fire on the A-Side with TL34 setting up on Side A -- still on a defensive attack. Streets and Sanitation requested at 2:40 a.m. for a tree that fell. CV275 assigns all Staging Companies to Ops 10 at 2:34 a.m.
One pediatric patient transported Code Red to Comers, one male adult patient transported Code Red to Advocate Christ Medical Center, one patient transported Code Yellow to South Shore Hospital, and one patient transported Code Green to South Shore Hospital. EMS Plan 2 secured at 2:52 a.m. on orders of 2-1-6. CV275 reports TL34, TL37 and SQD5 working and two master streams on Side C at 3:00 a.m.
CV275 reports defensive mode with three master streams with TL34 and TL37 on Side A and SQD5 on Side B at 3:34 a.m.
Office of State Fire Marshall with Cause and Origin Dog 4-6-19 requested to the scene. CV275 reports defensive mode with three master streams with TL34 and TL37 on Side A and SQD5 on Side B plus two lines on the other side of the firewall and companies going to rehab at 4:03 a.m.
Times are approximate. Times in parentheses are provided by Chicago Fire Media on Twitter. Report of smoke coming out of balcony storage room of a second floor apartment following a power outage and a popping noise. E82 crew on arrival reports a light haze showing from the second floor. Engine 82 leading out to the first floor. Fire on the first floor -- upgrading to a Working Fire response by 5:14 p.m. Opening a wall to look for fire by about 5:18 p.m.
E81 reports charring on a first floor storage room with fire out. Fire out by 5:24 p.m. Fire extinguished ith pump cans. Report of a crash involving a semi-trailer truck and a car with heavy damage. Flight for Life landing zone at Lippold Park near the entrance from Route 14. Patient extricated and transferred to A354 by 4:13 p.m.
A354 en route to the landing zone by 4:16 a.m. and at the landing zone by 4:18 a.m. Flight for Life landed by 4:20 p.m.
EMS: A354 FC ?? STANDBY A ?? Report of a fire in the attic of a house. BC26 on arrival reports light smoke and fire showing on the B-side from the attic. Activated Fire Alarm received from alarm company. Also person on premise reporting fire coming out of a vent on the side of the building. Fire in an apartment laundry room on the second floor. BC5 upgrades to working fire Code 3 on report of visible fire seen. Hoffman Estates T22 crew assigned to A side with smoke ejectors to start ventilating the first floor. by 11:04 p.m.
BC5 requests an additional ambulance assigned to standby at the command post. Companies going up to the fire floor with high-rise packs and hand pumps at 10:42 p.m.
T52 assigned with ventilation on the second floor. E54 interior crew reports trouble locating the fire at 10:45 p.m. Crew has ventilated but is having trouble locating the seat of the fire. SQD55 reports no extension from the fire unit at 11:34 p.m. and no gas leak. discovered. MABAS Division 1 Box Alarm on Box #4 for a structure fire (apartment fire). CHANGE OF QUARTERS: Streamwood Engine, Hanover Park Ambulance, Elk Grove Township Engine, Elk Grove Village Ambulance A52. STRUCK OUT AT 11:53:56 PM on orders of 502. Activated fire alarm then fire and smoke at the Oak Brook Terrace La Quinta hotel. Police on scene reporting people trapped on the third floor. Crew on arrival report fire visible from the second floor at La Quinta. Firefighters used ladders to rescue three people from the third floor. MABAS Division 12 Box Alarm on Box #1 District 493 for a hotel fire at 10:14 p.m.
EMS on the east parking lot. Heavy smoke conditions at 10:18 p.m.
Fire contained to a second floor hotel room unit. At least one person transported to an area hospital with smoke-related condition -- possibly smoke inhalation. Several other people assessed by paramedics at the scene. Report of a crash with injuries with a vehicle fire on eastbound I-90 west of Mile Post 58. First crew on arrival reports no vehicle fire -- looks like all are out of the vehicles. Crews on arrival report minor damage. Upgraded to an accident with entrapment with TL85 and Palatine Rural A36 assigned at 4:15 a.m.
E84 crew on arrival reports two vehicles with heavy damage. A84 transporting one patient to Level I Trauma Center Advocate Lutheran General Hospital. Second patient extricated by 4:24 a.m.
A36? diverted from Lutheran General Hospital to Northwest Community Hospital for an emergency medical problem. Report of a head-on crash in the intersection with injuries. The crash involved a Toyota Camry and a second unknown vehicle. Car crash into a restaurant with multiple injuries. Honda Civic into window left of the front door of Jibaritos y Mas at the northwest corner of Fullerton Ave and Kimball Ave (3400 West Fullerton). Restaurant formerly Sabor Latino Restaurant. EMS Plan 1 at 8:26 p.m. on orders of A3. BC7 reports 8 patients in the restaurant and requests an EMS Plan 2 by 8:29 p.m.
Clearing out the Walgreens parking lot across the street for staging by 8:29 p.m.
5-1-5 held up at 8:29 p.m. -- no structural damage to the building. SQD2 available on scene and releasing Breathing Apparatus Truck 6-4-6 by 8:51 p.m.
Holding Triage Van 8-8-19 with E55 by 8:53 p.m.
A44, A3? remaining on scene. Building is 2-story -- commercial on the first and residential on the second. TRUCK(S): T ?? T13 TL ?? EMS: A47 A53 A38 A43 A11 A44 A3? Report of a person stabbed with offender possibly still on scene. 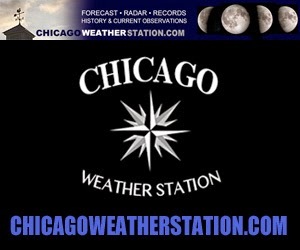 Report of a fire in a commercial building 63rd St and Central Park Ave Chicago, IL. Possibly a one-story city-owned building 20x125 adjacent to a railroad bridge (might actually be 3559 W 63rd St). E88 crew on arrival reports a one-story ordinary on the southwest corner with smoke from the roof. Checking whether fire is on top of structure or inside structure at 8:54 p.m.
Traffic control from Lawndale to St Louis. BC20 reports fire under control by 8:58 p.m.
BC20 reports secondary search complete and negative throughout the structure by 9:09 p.m. and E88 has repositioned from the exterior to an interior first floor where they found a hot spot. CV275 reports final search complete and negative by 9:17 p.m.
MABAS Division 7 Box Alarm on Box #60-122 for a structure fire (House Fire). Header visible during initial first due response. Fire might have been caused by a citronella candle. Rear of house well-involved on arrival. Pickup truck vs semi-trailer truck crash at Rohlwing Road and Blackhawk Drive, Rolling Meadows. Report of a rollover crash involving a pickup truck vs semi-trailer truck crash with injuries. Sheet metal worker driving himself in a pickup truck to Northwest Community Hospital with a lacerated arm hit a flatbed semi-trailer truck that was making a wide right turn onto westbound Blackhawk Drive from southbound Rohlwing Road. Heavy damage to the semi-trailer truck tractor and heavy damage to the pickup truck with rollover. MABAS Division 20 Box Alarm on Box #199 for a a multiple injury crash. Crash with injuries with a car against the building at Carmela's Hair Studio. E10 crew on arrival reports car against the building with one occupant in the vehicle. No apparent structural damage, but E10 crew requesting the building department to confirm. Police on scene at 7:36 a.m. report the driver is out of the vehicle. BC61 reports two cars involved with one car on its roof by 7:37 a.m.
BC61 reports no entrapment, one patient and holds up the pin-in response. MABAS Division 7 Box Alarm on Box #40-300 for a crash with multiple injuries. 1/2-story frame with a fire. BC22 reports the fire is out by 2:02 p.m.
MABAS Division 25 Box Alarm on Box # for a water rescue for a plane in the water near the Starved Rock Boat Launch. Aircraft located by 2:05 p.m. -- crews searching for pilot and any possible passengers. Division 25 Water Rescue Team responding by 2:06 p.m. Pilot found safe at the Starved Rock Lodge & Conference Center by 2:22 p.m.
Aircraft apparently was discovered downstream after it had drifted away from its mooring. Report of an activated fire alarm at the Palatine Park District Community Center. Report of smoke showing under a brick wall. BC8 upgrades to a Code 4 at 12:33 p.m.
Fire contained to a closet in the gymnastics area. Firefighters checking for extension. Fire appears to be contained by 12:51 p.m. Working on overhaul by 1:02 p.m.
Report of a gas service line hit to the residence on the east side of Euclid Avenue near Pine Avenue. Crew on arrival reports eastbound Euclid Avenue will be blocked until Nicor repairs the gas line. One inch residential service line hit. MABAS Division 20 Box Alarm on Box #200 for a structure fire. 2-story wood frame, 40x50, well-involved on the second floor. 2 1/2-sotry frame with possible communication to a single-story building. Requesting additional truck company for RIT -- Forest Park truck assigned. Female, age 21, transported to Northwestern Memorial Hospital, where she was pronounced dead. E46 crew on arrival reports a car on its side. One patient transported to Cook County Stroger. Crash with injuries involving a Nissan and a Kia. Kia with heavy front end damage. STAGING: East of the scene. Report of a natural gas leak on the roof that is also leaking gas inside the school at Walter R Sundling Jr High School. Construction workers on the scene were able to shut the gas off by a valve after a gas pipe was broken. E82 crew on arrival reports construction workers met with firefighters on arrival and explained the broken pipe and valve shutoff situation. Construction workers shut off gas to the roof pipes, but some gas was still leaking from crack in a three-quarter inch gas valve. Firefighters working on confirmation of main gas shut off to roof gas pipes. Gas leak stopped. Construction crew reports the cause of the gas leak will be repaired in about an hour. Report of an apartment fire at Granville and Broadway. Report of occupants trapped and police inside working on rescue upon arrival at about 6:36 a.m.
BC9 on arrival requests a working fire response at 6:33 a.m.
BC9 reports A 3-story occupied, 40x120 with a bar on the first floor and two apartments on top at 6:35 a.m.
BC9 reports forced entry to the rear where most of the fire appears to be, two lines on the fire -- one on Side A and one on Side B by 6:48 a.m.
BC9 reports roof is being opened and four ground ladders up by 6:48 a.m.
Primary started by 6:48 a.m.
CV272 reports fire under control by 6:52 a.m. Crew on arrival reports a fire on the first floor of a 1 1/2-story frame. Report of a commercial building fire at a Waste Management facility. A353 on arrival reports reports smoke showing from Bays 5 and 6. Fire out by 2:45 p.m. Crash with injuries near Healing Place Chiropractic office. Report of a person's hand trapped in machinery at a manufacturing company. E39 reports a female patient with her hand stuck between two rollers; power shut down by 10:34 a.m. with crew working on extrication. BC16 report victim is freed from the machinery and is holding up 5-1-5 by 10:43 a.m.
Report of a person hit by a vehicle in front of Jerry's Fruit & Garden. E122 on arrival reports they are using the deck gun at 1:13 a.m. Exposure on Side B with the second and possibly third exposure; setting tower up by 1:19 a.m.
Snorkel set up on exposure building, primary search negative by 1:35 a.m.
275 reports three frames with fire in the rear primary and secondary searches underway by 1:37 a.m.
275 reports three frames burning with all under control; companies are washing down with four lines on the fire. All companies working or rehabbing by 2:10 a.m.
2 1/2 story 25x50 with a fire in the attic and one truck company at 7646. The building 7642 exposure building companies is a 25x50 frame with companies washing down and overhauling. The building 7644 is 2 1/2 story 25x50 frame companies washing down and overhauling by 2:27 a.m.
CV 275 reports fire is out by 4:03 a.m.